When I saw the Teddy Ornaments crochet pattern, my first thought was that these round creatures really do look like ornaments! 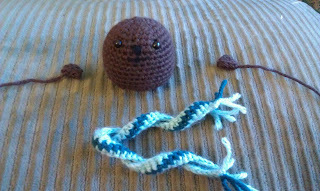 So far other amigurumi I've made with WOTA I've used a size F hook. This calls for sport weight and smaller than B.... I think I may try using a slightly smaller hook than F to make this a little smaller rather than modifying the pattern itself. I have both E and D hooks. 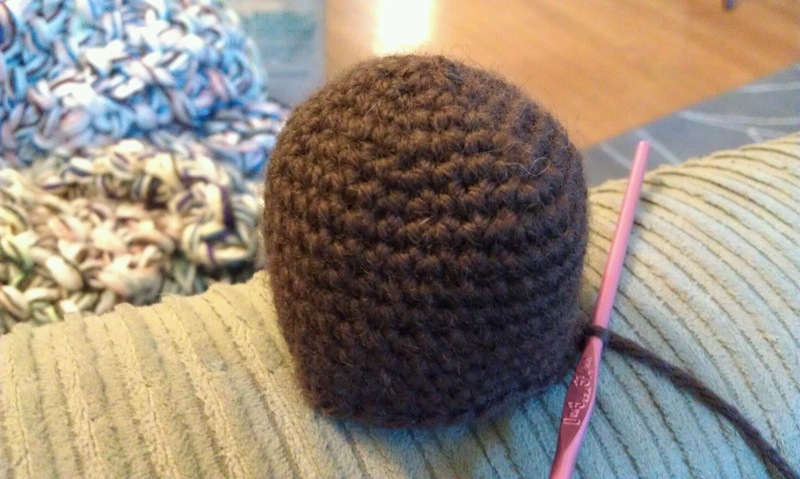 I will try to make it with D, but if I have trouble with tension I will move up a size. I was on row 3 when I discovered the designer had linked to a post with modifications made to work with worsted weight yarn and size D needles! Thankfully this would mean that I didn't need to start over again. 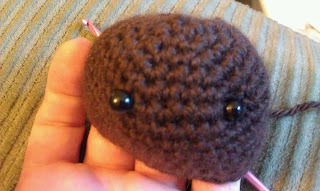 I used chocolate yarn for the body (22 yards) and an extra 3 yards were used to complete the ears. 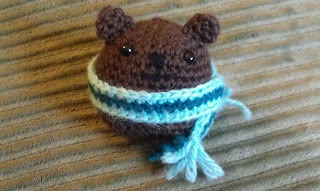 For the scarf I used Teal (~2.5 yards) and Wonderland Heather (~5 yards). I chained 53 sts to start and then followed the supplemental instructions. The scarf is my first real "flat" piece of crochet. I am quite proud of it, especially since it doesn't matter that the ends are a little uneven. 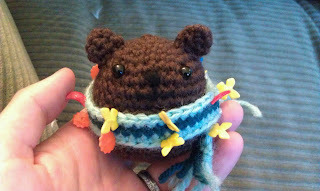 The scarf was done all in one direction, so I have not worked back and forth crochet yet. I glued the scarf to the bear per the instructions. I used pins to hold the scarf in place as the glue dried. I am in LOVE with the final result. The pattern also includes instructions to create a panda and a koala bear. 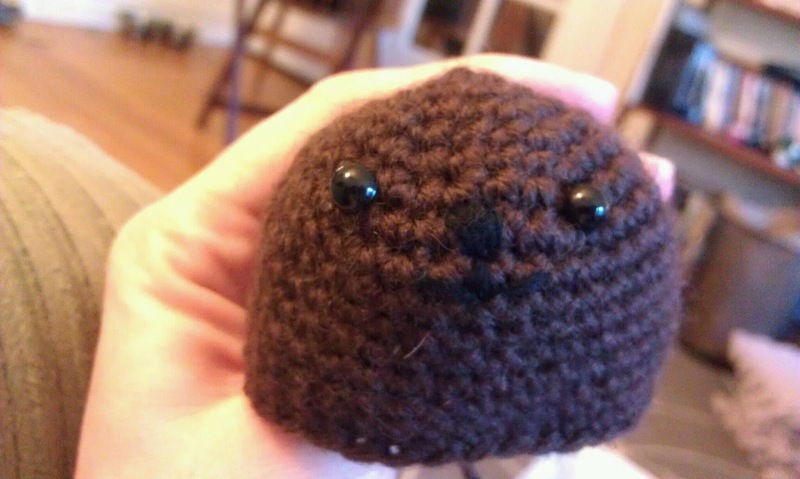 I know that I will be making more of these in the future! That would be pretty cute!